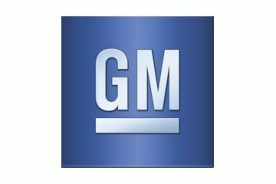 GMCustomerService had the most liked content! Thanks for bringing this to our attention, Booger T. We're sorry to hear about your Silverado's brakes and we hope this situation can be resolved in a timely manner. Unfortunately, our team doesn't have access to GM bulletins. Your dealership and their technical assistance teams are still in the best position to provide any relevant updates related to your concern. If you have any additional questions feel free to send us a private message. Anthony J. Hey, 2019_Silverado_HC. We're sorry to hear about this DIC warning message. If you're thinking about visiting your dealership, feel free to send us a private message and we would be happy to facilitate an appointment on your behalf. Anthony J. We appreciate your honest feedback, Yotaman. As we are the Social Media Customer Care Team, we primarily address vehicle concerns, bring them to the attention of the dealership and assist with scheduling service visits for diagnosis. We also assist with request for information such as: parts, build sheets, etc. We request that our customers send a private message because we discourage sharing personal information publicly, per our social media policy. Also, each customer’s situation is handled on a case by case basis. I hope this helps. Anthony J.
Hi, Sean. I’m sorry to hear about this brake situation, especially so early into your ownership. Please keep us updated via private message, we’re looking forward to hearing back from you soon. Anthony J.
Hi, Drew. We hope you're enjoying your Silverado High Country with the exception of this dash rattle. If you're thinking about stopping by your dealership for an evaluation, we would be happy to provide an additional layer of assistance. Please keep us updated via private message if and when this rattle disappears. Anthony J. Thanks for bringing this to our attention, Hannes. To clarify, were you able to address this left tail light bulb concern at your servicing dealership? If not, we would be happy to facilitate an appointment on your behalf. We hope to hear back from you soon with an update. Anthony J. Thank you for bringing this to our attention. To clarify, have you addressed this USB stick compatibility issue with your dealership? Since we’re not trained technicians, we wouldn’t be able to provide technical assistance over this platform. Please keep us update if and when you resolve this concern via private message. We hope to hear from you soon. Anthony J.
I’m sorry to hear about your Lane Keep Assist issue, KA0S. If you need an additional layer of support, please PM us so we can notify our Canadian Customer Assistance Team. Thanks! Anthony J.
Hi, Ben. We understand how frustrating this Lane Keep Assist concern must be for you. Please keep us updated regarding the status of your situation via private message. Our team is more than happy to work alongside your dealership as an additional layer of support. Anthony J.
Hi, Shawn. We understand how frustrating this tailgate alignment concern must be for you. If you’re thinking about visiting your servicing GM dealership about your situation, we would be happy to work alongside them, to provide an additional layer of support. Feel free to send us private message, if you have any additional questions or concerns. Anthony J. We're sorry to hear this, John. Please keep us updated when you bring in your truck for service to address this issue. You're always welcome to send us private message if you have any additional questions. Anthony J. We're happy that your infotainment screen is up and running, Bob. Please keep us updated if it acts up again. Thanks! Anthony J.
Hi, mattsvtcobra. If you’re considering visiting your GM dealership, to have this console plug looked at, we would be happy to work alongside them as an additional layer of support. Please send us a private message if interested. Thanks! Anthony J.
Hi, Jason. This isn’t the experience we want our customers to have, especially so early into your vehicle ownership. Feel free to send us a private message, if you’d like us to take a look into your situation. Anthony J.
Hi, txsokie. We understand how frustrating this whirring sound must be for you. Feel free to send us a private message, if you need us to provide an additional layer of support while working with your dealership. We hope to hear from you soon. Anthony J.